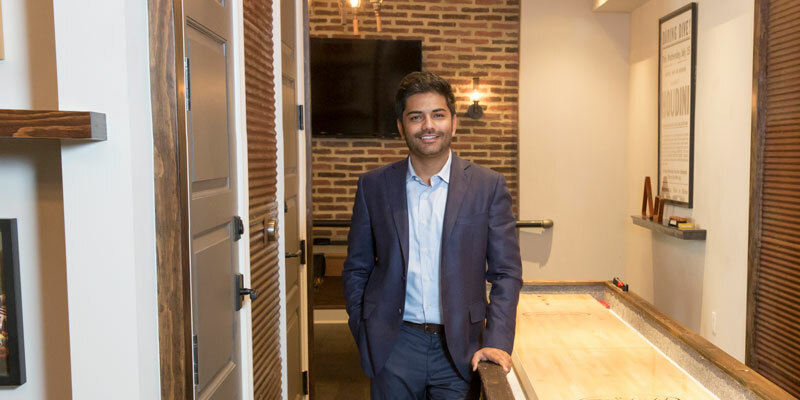 Sohail Choudhry founded Prestige Brokers Group with the dream of upgrading traditional real estate into an industry enabled by modern technology that still maintains the personalized, face-to-face service that clients deserve. Currently working alongside a team of brokers and sales associates, Choudhry represents sellers and buyers as well as top home builders and investors, and specializes in new home construction, investment resale, real estate acquisitions, asset dispositions and built-to-rent home strategies. Growing up in an Indian family, Choudhry was expected to go into a career in science. But his father, who passed away when he was young, saw his true calling: to be his own boss in sales. In the sixth grade, Choudhry saw a demand for gum and charged students a dollar per piece. He soon had a thriving business with friends selling the gum for him. When demand decreased due to competition from other students, Choudhry sold other items — and he continues to prove that ability to adapt and understand his clients’ needs in his real estate career. During his 14 years in real estate, Choudhry has worked as a financial advisor and for a hedge fund company. In his spare time, he built a 1900 single-family home portfolio in Georgia. He also has experience working with companies with enterprise values ranging from $5 million to $500 million. As a broker, Choudhry has helped his company exceed $65 million in sales in 2018, its best year so far, and he routinely proves himself to be a sharp negotiator, dedicated to helping his clients through every step of the transaction.